"Teardrop" is a song by Massive Attack, which was released as a single on 27 April 1998. It is the second single off their third album, Mezzanine. The song became another UK hit for the group, peaking at number 10 on the UK Singles Chart. The song features vocals by Elizabeth Fraser of the Cocteau Twins. The song is also known for its use in numerous TV programmes and movies, notably as the theme song of the medical television series House. The instrumental portions of the song at the beginning and the end, featuring a bass drum beat reminiscent of a heartbeat, are used in the opening theme. "Teardrop" was first developed from a simple harpsichord riff picked out in the studio in April 1997. Vowles sent the demo to Madonna as he wanted her to record the vocals for the song (the band had previously worked with her on their 1995 reworking of the song "I Want You"). The two other band members Robert Del Naja and Grantley Marshall wanted Elizabeth Fraser of the Cocteau Twins to record the vocals, feeling her ethereal style suited the mournful melody and feel of the piece. Madonna was very keen to record the vocals, and was disappointed when the two-to-one vote went in Fraser's favour. Fraser wrote the song's lyrics. While recording the song on May 29th, 1997, she found out that her once-close friend, Jeff Buckley had drowned. "That was so weird ... I'd got letters out and I was thinking about him. That song's kind of about him – that's how it feels to me anyway." The single peaked at number 16 in Australia. It placed number 22 in the Triple J Hottest 100 of All Time in 2009. It reached the Top 10 in the UK and is the only Massive Attack track to do so. It was certified Silver by the BPI on 22 July 2013. 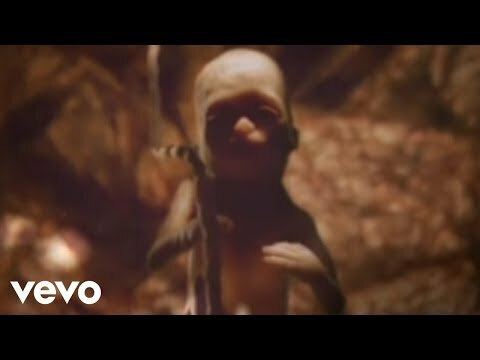 The song's music video featured a plastic foetus in the womb, singing the song. It was directed by Walter Stern.